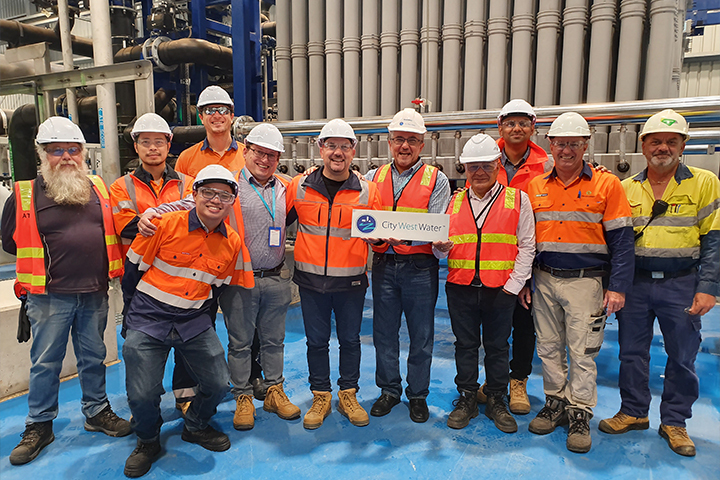 City West Water’s West Wyndham Recycled Water Plant successfully completed its proof of performance test and is now ready for operations. Big shout out to our engineers Mohammad Helmy and Michael Gelman who spearheaded the commissioning effort on site as part of a multi-party team. West Wyndham Recycled Water Plant is a 9ML/day plant that takes class ‘A’ water from Melbourne Water’s Western Treatment Plant and reduces its salt content for supply to residential third pipe use and other open space irrigation. Spiire lead the commissioning of the plant in close collaboration with City West Water, Lendlease and Parasyn. The scope spanned pre-commissioning activities, dry testing, control sequence testing, wet commissioning, first chemical fill, process commissioning and finally the proof of performance testing.